CLACIS is a leading competition law advisory, which focuses on matters regarding competition law in Ukraine, Russia and Kazakhstan. The services include all aspects of competition law such as investigations, audits, infringement cases, leniency, merger control approvals, competition law, legal due diligence, antitrust litigation, distribution and contract related antitrust issues, public procurement, as well as compliance issues. The team of professionals of recognized competence in unison with regional coverage makes CLACIS a unique law firm. Well-known as a “one-stop-shop”, CLACIS offers its clients high-quality advice on competition law matters in a number of jurisdictions with international capacity through relationships with independent law firms. We regularly advise international companies at regional level on competition law issues arising in the region. Such multijurisdictional expertise in antitrust matters within this region is unique on the market. Both founding partner Antonina Yaholnyk and CLACIS have been highly recognized by such international and local legal directories like Chambers Europe, Best Lawyers and ULF. Being one of the leading individuals in the field of antitrust & competition, Antonina Yaholnyk has over 20 years of legal practice, including over 10 years of experience handling antitrust and compliance matters. She also headed Baker McKenzie’s Competition & Compliance Law Practice Groups. Antonina Yaholnyk holds an LL.M. degree from the University of Cambridge (UK), Master’s degree International Law and Economics from the World Trade Institute (Switzerland). Mrs Yaholnyk chaired the European Business Association’s Competition Committee in 2011-2012. She is a member of Noncommercial Partnership “Supporting Competition in the CIS Countries”. 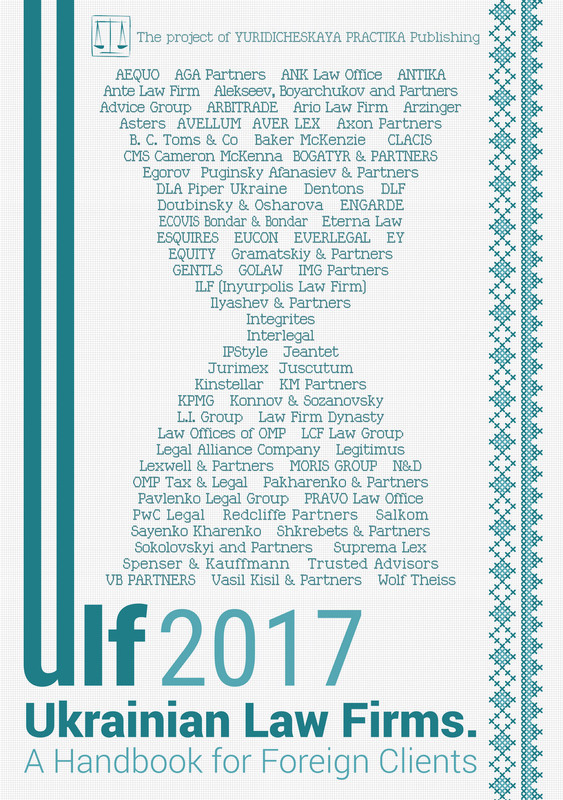 Mrs. Yaholnyk was elected a Member of the Council of Competition Law Committee at the Ukrainian Bar Association in 2016. Our lawyers — a team of dedicated professionals in antitrust and antitrust litigation — are graduates of leading local and foreign universities with professional experience in international and regional law firms in Ukraine, Russia and Kazakhstan. Legal professional privilege is one of the main tools, which ensures confidentiality of attorney-client relationship and, therefore, helps build an effective defense without disclosure of sensitive information, which can be used as an evidence against an undertaking. Legal privilege is even more important in cases where the competent authorities conduct on-site investigations. In such cases, legal privilege would help to indicate upfront materials covered by privilege and, hence, falling beyond the competence of the competent authority. One of the most prominent examples of effective application of legal privilege is antitrust dawn raids, i.e. on-site investigations of the premises of an undertaking and employees’ questioning by the competent antitrust authority. The best practices in mature jurisdictions prove the efficiency of legal privilege when such is used to take out certain documents from the scope of an antitrust investigation or, at least, to ban them for use as evidence. In more detail, legal privilege in competition law proceedings has been recognized in the EU since 1982, when this issue was first addressed by the European Court of Justice in AM&S Europe Ltd v European Commission case. Later, in the Akzo Nobel Chemicals Ltd and Akcros Chemicals Ltd v. Commission cases the Court stated that the legal privilege shall cover written communication of an undertaking with an independent lawyer admitted to the bar and subjected as such to disciplinary and ethics control; however, it shall not cover communication and materials prepared by an in-house lawyer due to the lack of independence of such in-house lawyer resulting from labor relations with a company even if such in-house lawyer is a member of a national bar. Additionally, there is no professional work product protection in the EU, which would invoke privilege for materials prepared for the purposes of defence in anticipated litigation. In practice, privilege may cover preparatory materials not exchanged with an external lawyer if such materials were prepared exclusively for seeking legal advice, and internal notes, which report the text or the content of the original lawyer-client communication. As regards communication with foreign lawyers, privilege extends only to communication between the client and a lawyer admitted to practice in any of the EEA member states. Legal privilege requires competent antitrust authorities to abide with rather clear procedural rules when dealing with allegedly protected materials, including specific processing of such materials and possible involvement of the bar to decide on whether the materials in questions are indeed covered by legal privilege and thus shall fall beyond the scope of any antitrust investigation. Though legal privilege protection in the EU is limited to independent external attorneys admitted to the bar and to the materials qualifying to certain criteria, the EU concept of legal privilege provides for a fair level of legal certainty in respect to the privileged materials, which may be excluded from the scope of antitrust investigation and, even more importantly, which cannot be used as evidence against an undertaking which is being investigated. In its turn, in the USA, legal privilege is even broader. It includes both attorney-client and work product privilege, with the latter covering materials and documents prepared for a litigation, which in most cases imminently results from an antitrust investigation. In contrast to the EU approach, in the US attorney privilege may also cover communication with in-house lawyers, who are active members of a national bar. To be protected by such a privilege respective internal communication shall be made upon instruction of a senior official and with a clear purpose of receiving a legal advice limited to the scope of employee’s duties, which shall not be made public. It is also important that such type of legal privilege is limited only to legal matters. Similarly to the EU, the status of, and access to, legally privileged materials is covered by special regulations in the US. Thus, refusal to disclose legally privileged materials (both attorney-client and work product) shall not be considered as an obstruction to an antitrust investigation. In addition, in order to obtain any data covered by the privilege the US antitrust authority shall obtain written consent from the US Deputy Attorney General. It should be noted though that in the US criminal liability exists for certain competition law infringements, hence attorney-client privilege gets another level of importance in proceedings of this nature. Even though the legal privilege regime in the US is rather liberal and generally protects any type of communication between client and lawyer, there are a fair number of details to be considered on a case-by-case basis. Therefore, litigations between companies and antitrust bodies are not rare and best practices may vary depending on the circumstances of a particular case. Still, US legal privilege proved to be an efficient remedy to preserve privileged materials in official proceedings. Unlike the best practices internationally, the status and criteria of legal privilege in Ukraine, particularly in antitrust investigations, are quite vague. To begin with, the effective competition law of Ukraine does not address the issue of legal privilege at all. Moreover, competition law generally provides for the right of the competent authority — the Antimonopoly Committee of Ukraine (the AMCU) — to have access to confidential information of undertakings; no detailed regulation of this issue is provided further. It basically means that the AMCU has almost absolute power to demand from companies any documents, materials and information, including those with restricted access. Any failure to provide the requested information may be considered an obstruction and lead to a fine. Generally, legal professional privilege is provided by the Law of Ukraine On Advocacy and Advocatory Practice in Ukraine as of 5 July 2012 (hereinafter — the Law). This Law provides for a wide range of matters covering legally privileged matters from the side of an advocate, i.e. attorney having bar admission. However, the Law remains silent with respect to the status of privileged data when it is requested from a client in any official proceedings. As it follows from the Law, even such limited regulation is silent on whether legal privilege may relate to an in-house lawyer if such is admitted to the bar. This leaves significant room for interpretations on the side of the competent authorities to claim disclosure of such information directly from an investigated undertaking. Unlike special treatment and specific procedural rules for such type of materials in the EU and US, this legislative gap in Ukrainian Law presents significant legal risk of involuntary disclosure of privileged data in the absence of the necessary legal remedy. This is even more important taking into account current trends granting authority in court representation only to qualified attorneys. Given this, there is a strong necessity to elaborate on respective approaches on dealing with privileged materials in official investigations, as well as the mechanism of control over the diligent use of legal privilege by attorneys from the side of the Ukrainian bar. It should be noted that under pending reform in Ukraine, the trend which grants authority in court representation to qualified advocates relates, unfortunately, only to litigation proceedings. Other types of official proceedings are currently beyond the scope of reform. This leaves an important part of official proceedings, for instance, quite specific investigations of the AMCU, uncovered. At the same time, preservation of the legal privilege in AMCU investigations requires special regulation given that such investigations involve commercially sensitive matters as well as extensive powers of the AMCU to investigate: the right to seize documents, servers, search premises, interview employees to name but a few. In view of the legal gaps regarding the status and processing of privileged materials, involvement of an external independent attorney having bar admission to assist with antitrust matters (at least complex ones such as abuse of dominance, anti-competitive concerted actions, leniency and on-site investigations) appears to be highly recommended. Furthermore, a client should feel comfortable that advice being sought on antitrust compliance matters is protected communication. This instrument of protection of communication as privileged and confidential between the client and the attorney will enable an increase in overall advocacy of best practice in competition law compliance.